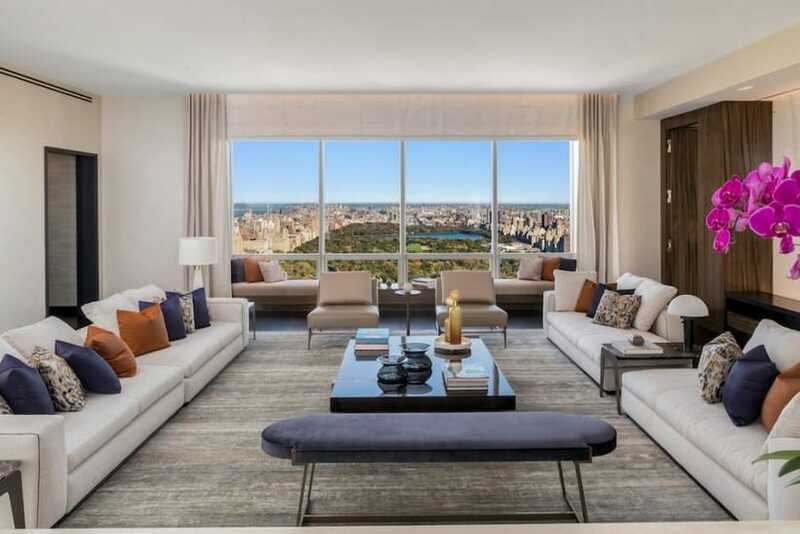 The streets along the south side of New York City’s Central Park are home to some of the priciest real estate in the U.S.; why else would the neighborhood be nicknamed Billionaire’s Row? 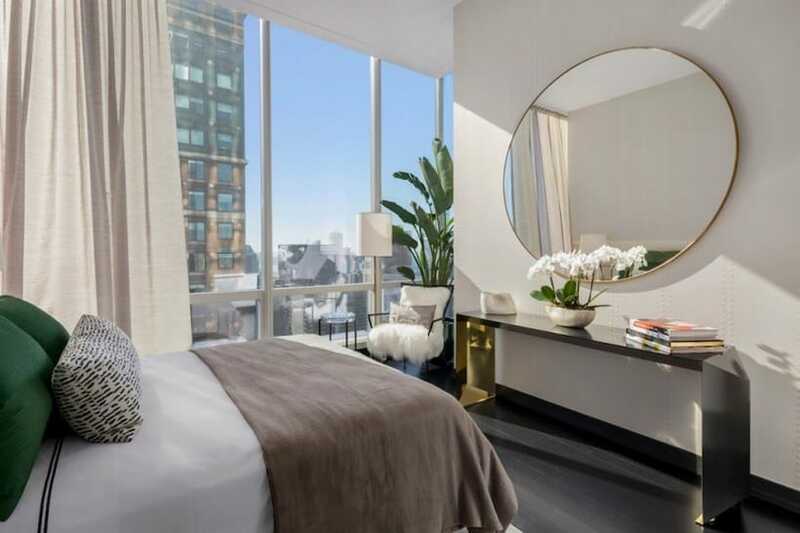 Three streets south of the park, at 157 West 57th Street, you’ll find the fittingly-named One57 building. 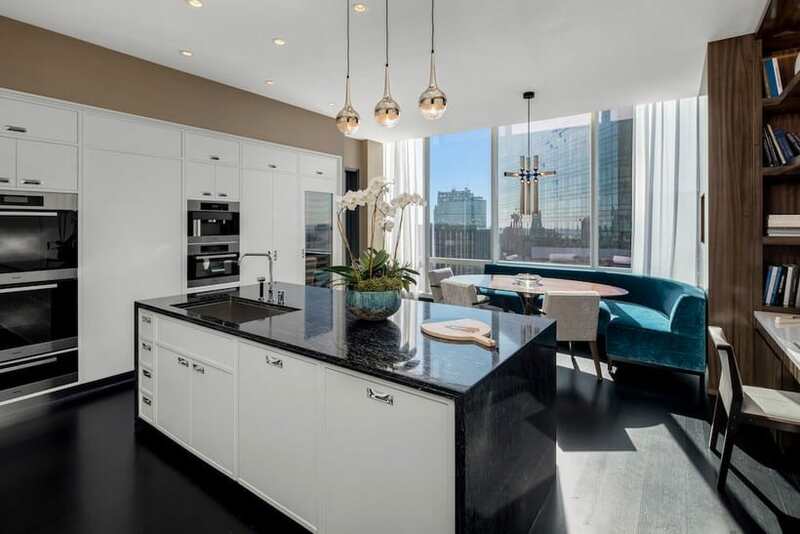 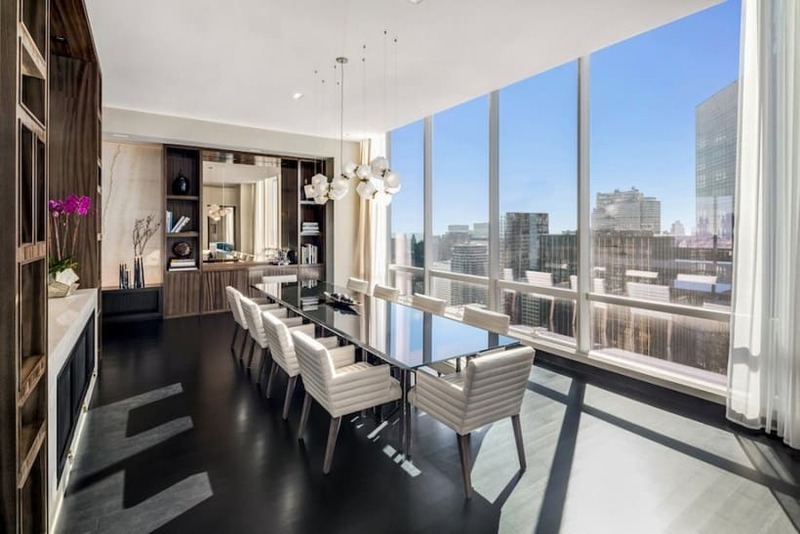 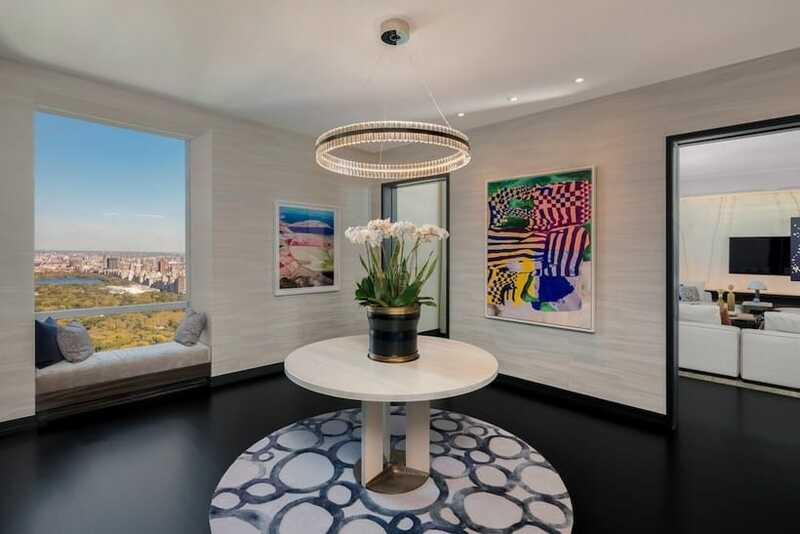 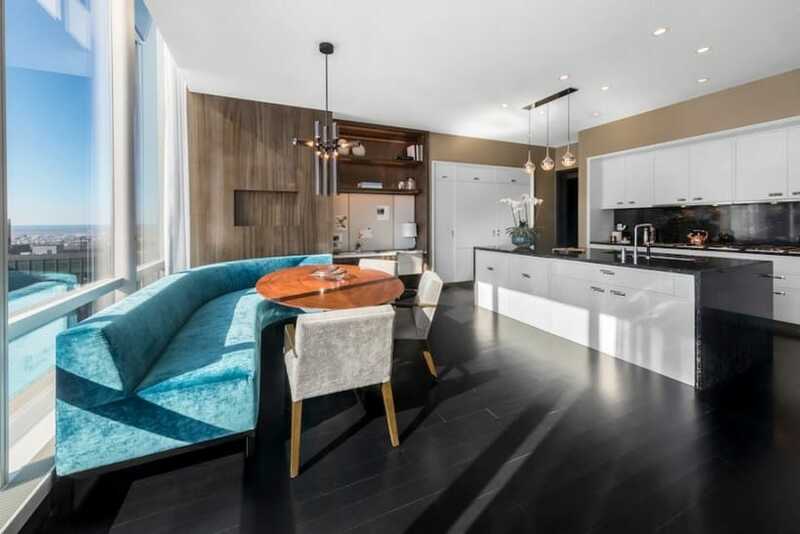 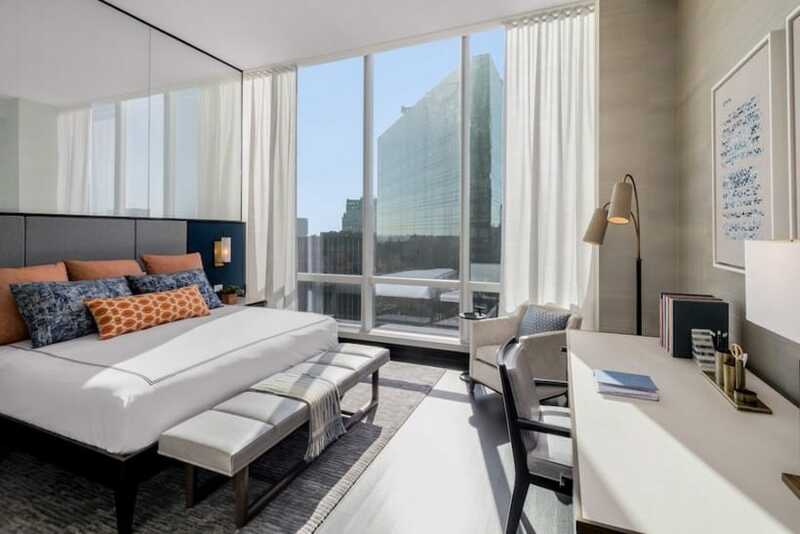 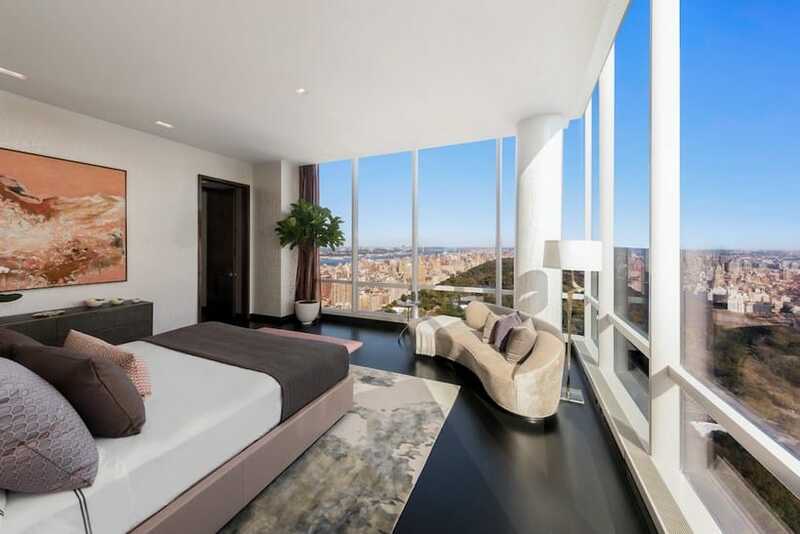 And on the 61st floor of the 90-story Christian de Portzamparc designed tower, there’s a spectacular apartment designed and furnished by the renown Jeffrey Beers International firm up for sale. 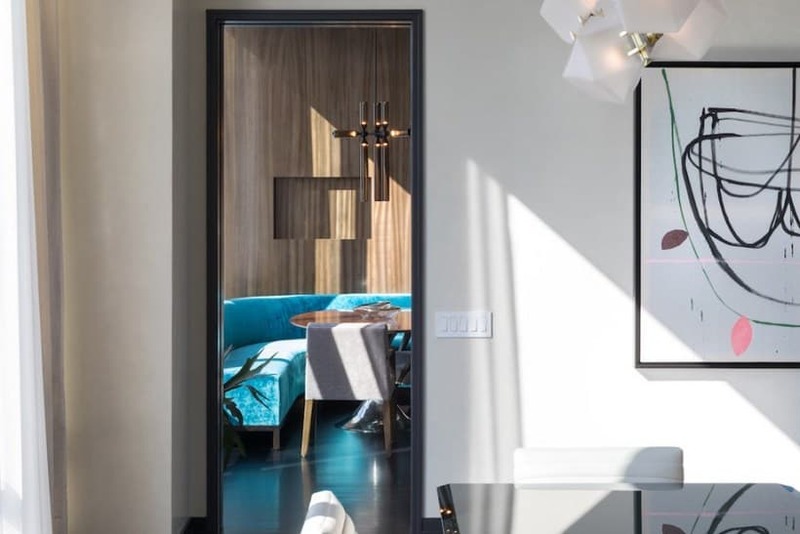 Featuring an aesthetic inspired by Jeffrey Beers’ formative years in design school and his time as a glassblower, the three-bedroom residence provides panoramic views of Central Park to the north and the Manhattan skyline to the south and east. 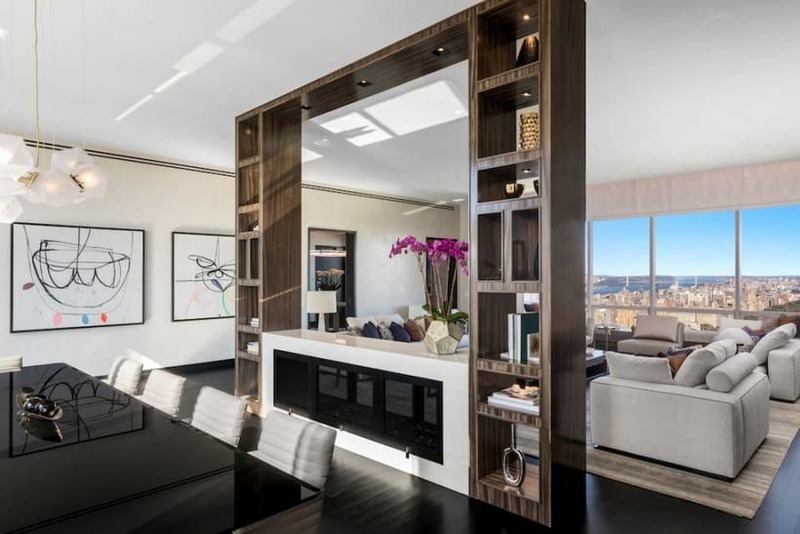 All of the furnishings pictured – such as sofas from Minotti and Kagan, area rugs from Doris Leslie Blau and Crosby Street Studios, and a custom art piece that slides out of the way to reveal the living room’s flatscreen TV – are included for the $29 million asking price. 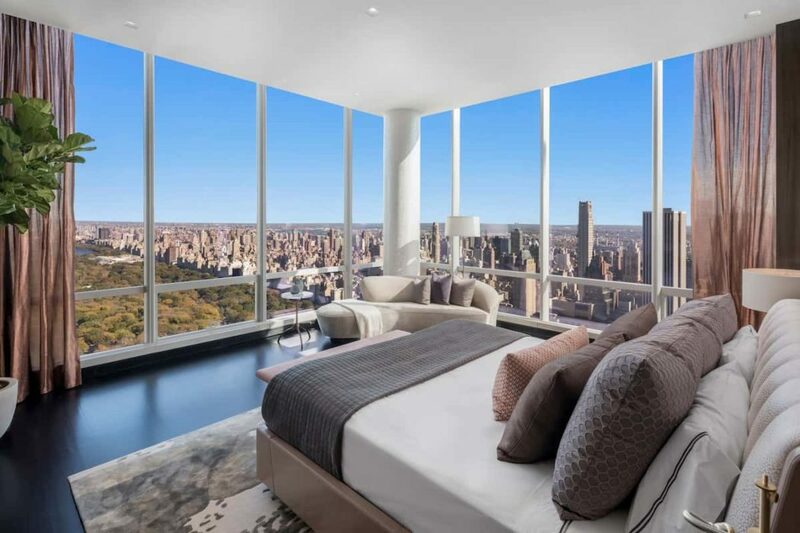 Then again, for that sum, how could they not be?